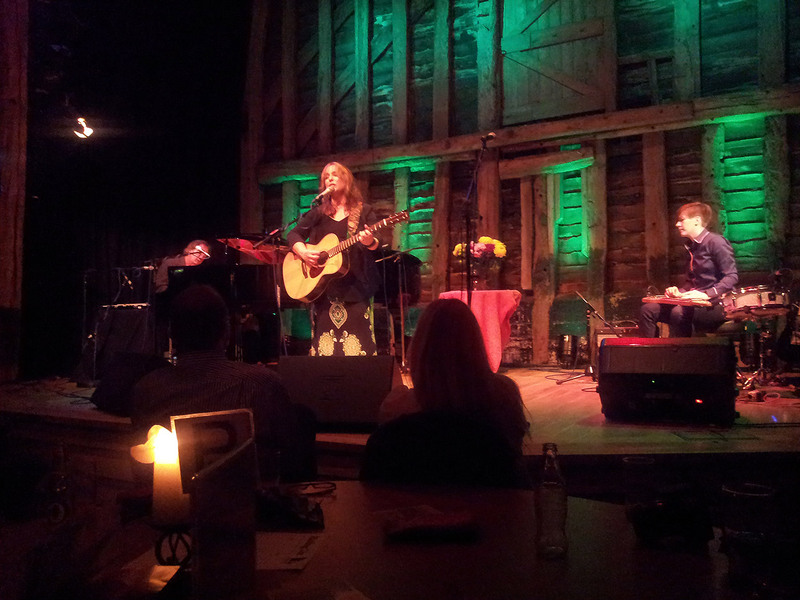 Last night I had the pleasure of going to see some live music at maybe the most amazing venue I’ve ever been to; The High Barn in Great Bardfield, Essex. The name is self explanatory and it is a barn, with a high roof, that provides the setting for the music gigs they put on. The building dates back over 800 years and was a sight for sore eyes when I finally arrived on a lovely summer’s evening after my sat nav took me on a 40 minute detour around some of the smallest lanes I’ve ever driven along. 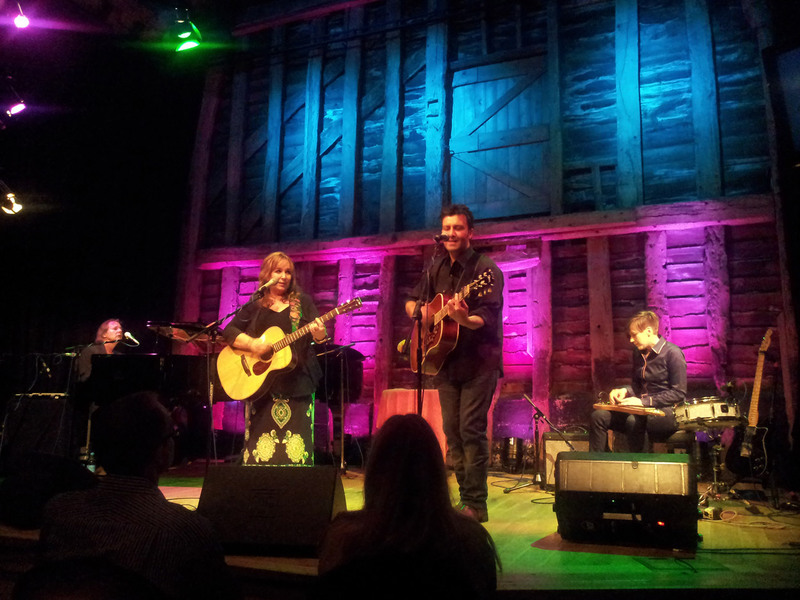 Now was the turn of Gretchen Peters, someone who I had heard very little of, but was a favourite of my friend John, from whom the invite to the gig came from. She started off quite sedately, but by the third song I was hooked – that didn’t take long. A veteran of the music scene, Gretchen seemed not just at ease on stage, but as if there is nowhere she’d rather be. As a member of the paying audience there’s no greater compliment than having a performer give you everything, and for the second time that night, that’s exactly what we were getting. Gretchen has one of those voices that captivates you, and several times during her set I found myself oblivious to everything around me, lost in those wonderful moments of musical bliss. As equally brilliant during poignant ballads as faster numbers, Gretchen’s set was a great collection of moments from her life and her career, accompanied by tales of what they meant to her. I particularly liked The Secret of Life, which she wrote and released back in 1997, and doesn’t sound even a tiny bit out of place being sung 16 years later. An accomplished guitar player herself, Gretchen was joined on stage by her long time musical partner and husband of 2+ years Barry Walsh, who is a stupendous piano player who also can turn his hand to the accordion when needed, and the odd tune on the xylophone too. On electric guitar, drums and lap steel, was the ever so slightly mysterious Christine Bougie, who seems like one of those people who can pick up and play any instrument she chooses to. I was particularly taken by her lap steel wizardry, an instrument that she used to to make an unfathomable range of sounds. Barry and Christine showcased their musical prowess during the instrumental Paradiso, a song that could transport you to a world of serenity and relaxation. Gretchen and band were joined on stage a couple of times by Ben Glover, and they all brought the evening to a close with a cover of The Rolling Stones’ Wild Horses, a song I am ashamed to say for many years I thought belonged to The Sundays. 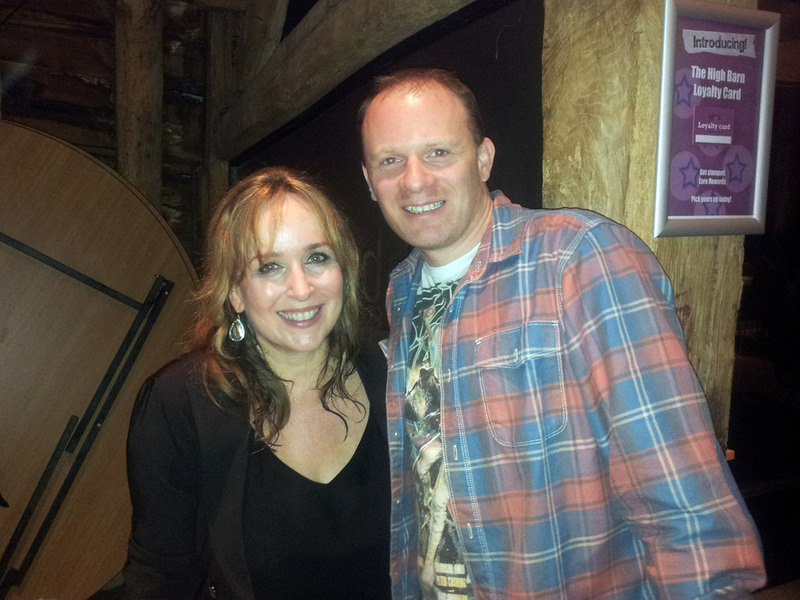 I met Gretchen after the gig and she was absolutely charming, warm and funny. I bought an incredible Woman On The Wheel Live CD/DVD of hers which is packaged in a beautiful hardback book full of photos, thoughts and lyrics – signed, it makes an amazing memento from the gig. The whole night, from the music, to the setting, was just spectacular. I now have some new artists (to me) whose music I will listen to and progress I will chart, and a venue in The High Barn that am keen to return to. One of my favourite nights of live music.